Home » News » You’ve received a FATCA Rabobank letter. Now what? Are you American–Dutch and did you recently receive a letter from Rabobank about FATCA? You are advised not to ignore this letter. These are the most important points you have to know about the FATCA Rabobank letter. The Rabobank FATCA letter is meant for Dutch citizens with an American background (i.e. a person with US persons as parents, or a US person by birth), ‘accidental’ American citizens and Green Card holders. 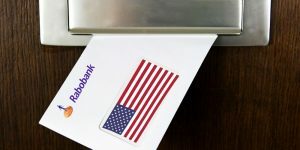 Following new American tax regulation, Dutch banks including Rabobank are required to share the names and account details of these people with the American tax office IRS. The obligation for banks to share data is based on the Foreign Assets Tax Compliance Act (FATCA). FATCA is an agreement between the American and Dutch governments signed in 2013. With this bill, the US seeks to increase its oversight on accounts held by Dutch Americans. Despite the fact that they live and work outside of the States, this group of individuals still has a duty to file American taxes. 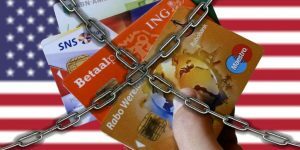 Under FATCA, Dutch banks are required to determine whether a customer falls under this American regulation and must in that case annually provide information to the Dutch tax authorities. This requirement applies both for new and existing customers, hence you may have received a letter from Rabobank concerning FATCA. What does this FATCA Rabobank letter mean for you? What do you have to do when you have received this Rabobank letter on FATCA, if you are an American-Dutch national? First of all, it is important that you do not ignore the letter. 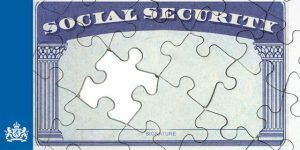 The letter may have arrived together with a W-9 or a W-8 tax form. Some banks send a FATCA form with these tax forms to confirm whether the customer is an American taxpayer and thus also falls within the jurisdiction of FATCA. 1.What are the consequences of not sending back Rabobank FATCA form? In case of not receiving the filled-in FATCA form, the bank will always share your information with the American tax authorities. Depending on which country you live in and what bank you make use of, your accounts may be adjusted or closed. This especially applies to bank accounts used for investments. Some banks have even decided to bar all potential American clients from their services. Americans Overseas advises you to contact your bank to ask them about their policy towards American clients before you return the tax form, thus giving you time to move your account if your bank requires you to do so. 2. Return the FATCA Rabobank form indicating you are not American. Many Dutch Americans find the law unreasonable. They might have been born in the States and emigrated to the Netherlands at a young age or obtained the American citizenship through their parents. 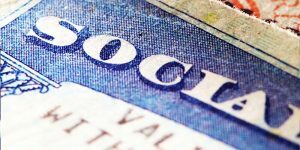 Although you might not feel American in these cases, you unfortunately remain a taxable US citizen according to US tax law. Incorrectly indicating that you are not American in the FATCA Rabobank form can lead to sanctions from American tax authorities. The IRS denies taxable individuals all amnesty programs if they uncover cases of tax evasion themselves. Furthermore, the bank can ask you to prove that you are not American by requiring you to show a certificate of ‘loss of nationality’ or show other evidence from which they can verify that you have never been an American citizen. 3. Received a FATCA Rabobank letter but you have never filed an American tax return. What do you have to do? The American tax authorities have an amnesty procedure, the so-called ‘Streamlined Foreign Offshore Procedure’, which allows American taxable persons to file a late tax declaration without fines if they were not aware of their tax duties. This procedure also applies if you have filed taxes in the past while living in the United States and then moved to another country – never realizing that you had to continue reporting to the American tax authorities. The amnesty procedure will most likely be terminated sometime in the future, though, since the IRS may assume that you are already aware of your American tax return obligations under the global US tax regime. The bottom line is that it’s wise to be aware of your American tax obligations and undertake steps to file the necessary tax returns: Americans Overseas can assist you in these matters free of charge and without obligations. Do you have more questions about the FATCA Rabobank letter and American tax return obligations? We, the founders of Americans Overseas, were born in the Netherlands and obtained our American nationality through our (American) mother. When we heard about this for the first time around 2013, we were in total disbelief (it can’t be true! ), anger (how can they do this? ), fear (am I going to get fines or pick up other problems? ), and panic (what should I do?). It is (unfortunately) true that there is an additional American tax levy. But there’s no information from local government, and when approached, the consulate referred us to the IRS, and the IRS was impenetrable. If you have more questions about the FATCA Rabobank letter you can contact us at Americans Overseas. If you look at page 22 (and top of page 23) of the U.S. Netherlands FATCA IGA (Google U.S. Netherlands FATCA IGA) you will see a provision that allows for one who was born a U.S. citizen because of a U.S. birthplace to show that he has relinquished U.S. citizenship – even if he does NOT have a Certificate of Loss Of Nationality (“CLN”). American Overseas is visibly not helping and is participating in this crime.